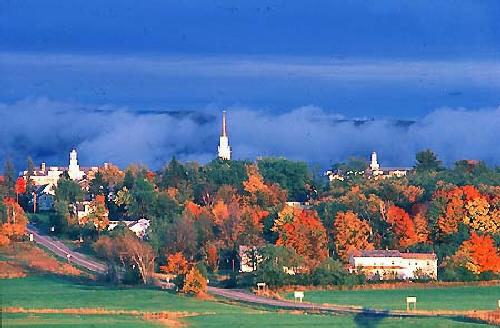 Middlebury College is widely regarded as one of the nation's very best liberal arts colleges. Middlebury's beautiful, wide-open and airy campus has spectacular views of Vermont's mountains. Many students take advantage of the college's location and go hiking, skiing and other outdoor activities. Middlebury has a wealthy endowment so students always have access to first-class facilities and the best professors around. The college is well-known for its rigorous curriculum. Middlebury has a robust study-abroad program with schools all around the world. The college can also boast of a 9 to 1 student-to-faculty ratio and classes with usually less than 16 students. Almost half of the students receive some form of need-based financial assistance to cover their education. A very low acceptance rate means admissions can sculpt an academically-strong, talented and diverse incoming class. Middlebury students are distinguished by their academic excellence, creativity, self-direction and leadership.